In a story that raises serious questions about the decline of the legal profession and the need to better regulate legal advertising, two Louisiana trial lawyers are fighting it out in court over the right to use the word “guarantee” in their TV commercials. In case you haven't heard the news, Baton Rouge trial lawyer E. Eric Guirard recently found himself on the wrong end of a federal lawsuit after using the slogan “Get the E Guarantee” in his latest TV ad. The writ was served by rival trial lawyer Gordon McKernan, who trademarked the phrase “Get the G Guarantee” back in 2014 and began using it in his ads. For the small number of folks who may not know, McKernan is the guy who has monopolized (some might say destroyed) the otherwise peaceful view along I-10 with obnoxious billboards bearing his likeness. His in-your-face-ads are also plastered all over local TV— not to mention what fills the radio and pops up on bus exteriors all over town. McKernan’s aggressive advertising blitz has even inspired a series of comical internet memes and led to the creation of a FaceBook group making fun of his over-the-top advertising presence. Bottom line is, McKernan’s probably spent a lot of time and money on the “G Guarantee” and most likely he doesn’t want anyone cutting into his market share. What McKernan didn’t mention in his recent lawsuit, however, is that Guirard was actually the first to begin using the “E Guarantee” slogan in 1995… right up until the time he was disbarred in 2009. That’s a whole different story, which you can read more about here. So it’s the E Guarantee v. the G Guarantee. To add even more fuel to the fire, Guirard’s commercial openly mocks his rival by depicting an actor bearing McKernan's likeness falling off a big rig truck while filming a commercial. It may sound more like the plot from the hit TV show Better Call Saul, but unfortunately this is reality show is far less entertaining because these trial lawyers practice in real life. Guirard stands accused of misappropriation of identity and trademark infringement while McKernan, who has been using the “G Guarantee” trademark since 2014, contends that Guirard’s “E Guarantee” trademark lapsed in 2012, and that he has an entitlement to recover Guirard’s profits and additional damages incurred as a result of Guirard’s actions. Regardless of the legal arguments on either side, this case serves as a stark reminder that lawyer advertising in Louisiana is simply out of control. The time has come for tighter regulations. It is sickening to watch two trial lawyers waste taxpayers’ time and money fighting over a slogan in federal court—especially one as ridiculous as the E or G Guarantee. 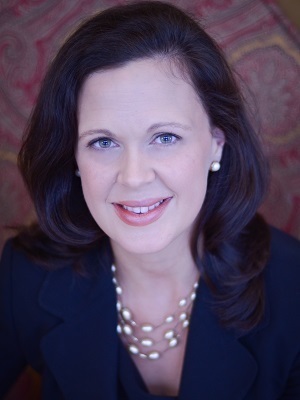 Melissa Landry is executive director of the non-partisan, grassroots legal watchdog group Louisiana Lawsuit Abuse Watch. For more information, email mlandry@llaw.org or visit LLAW.org.